Golf, golf, golf!! Just 900 meters from this remarkable villa is the NEW, COMPLETELY finished Black Sea Rama golf course. Designed by the world famous Gary Player and with daily visitor fees of ?65 for the full 18 Holes (72 par), or just ?45 for 9 holes. The property is located within the villa area adjacent to the village of Topola, which is five minutes drive to the beautiful beach resort of White lagoon and only 10 minutes drive to the marina towns of Balchik and Kavarna. Balchik has a superb array of beach side restaurants in which you can eat, drink incredibly cheaply and enjoy the amazing sea views. Explore the fascinating shops and market stalls along the waters edge. This uniquely positioned property is right on the stunning white cliff edge, giving outstanding uninterrupted, panoramic sea-views. The large open plan ground floor makes the most of the incredible views which incorporates a modern kitchen with separate utility (including washing machine), lounge area with sofa beds, a ground floor bathroom with shower, dinning area with seating for eight and French style doors leading to the split level terrace and pool area. Leading on from the ground floor there is an ornate spiral staircase that takes you up to the first floor where you shall find four twin bedrooms (two of which with en-suite) and a large family bathroom with bath. The two bedrooms at the front of the property also benefit from a long terrace overlooking the pool and right out to the horizon. 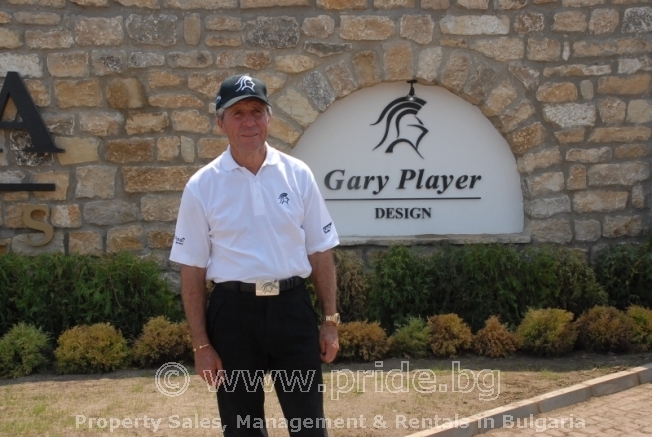 The exclusive gated seaside community features a world class 18 hole signature golf course designed by the legendary Gary Player and unbelievable views of Bulgaria’s Black Sea coast. Black Sea Rama is an ideally accessible area for holiday or second homes. Varna International Airport is just 40 minutes away and the City itself has extensive shopping facilities, theatres, restaurants, bars and many other tourist attractions. The golf clubhouse is situated in a prominent location to take full advantage of the vast panoramic sea views. The clubhouse contains all the typical facilities such as locker rooms, pro shop, restaurants, bars and lounges. There is also an extensive outdoor seating area where the players can sit and have drinks and meals whilst watching the play on the 18th green. 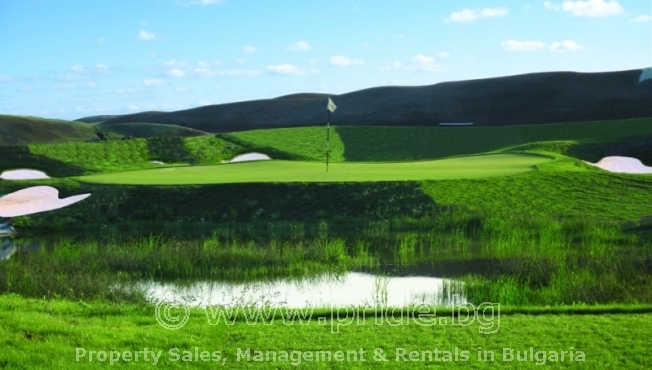 Further to the Black Sea Rama golf course, just 4 kilometers from the property is the Lighthouse golf course. The excellent serviced clubhouse facilities offer golfers modern men’s and ladies locker rooms with shower and towel services, whilst the restaurant can comfortably accommodate more than 100 people. Whether you plan to host a golf tournament, a business meeting, or just a getaway vacation, the culinary staff at the Lighthouse golf course can prepare any type of food for any number of guests. With the warmer weather, guests can also take advantage of the spacious outdoor patio, which offers picturesque views of the spectacular finishing holes. Please Note: Due to the lack of services within the immediate vicinity of the villa, and the unmade access road leading to this unique property, car hire is necessary. We are also advising that this is either a 4x4, or a high wheel based vehicle. Overall this is a very special property with amazing views, peaceful location, pool and garden areas which are fully enclosed and suitable for relaxing and barbeques. The villa is front line and right on the cliff edge, giving you the endless views which you shall remember forever.